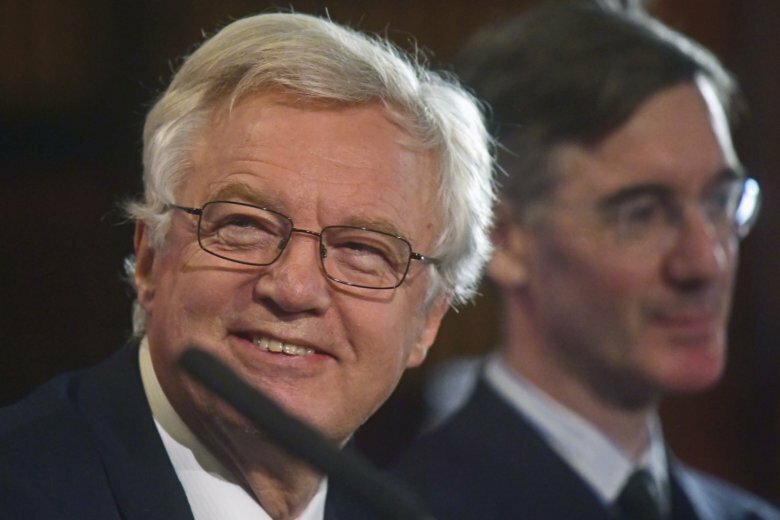 LONDON (AP) — Brexit advocates unveiled Monday a new economic plan for Britain’s departure from the European Union as official figures emerged showing the country’s increasingly deteriorating trade in goods relationship with the bloc. One of the biggest advantages that many Brexit supporters see in leaving the EU is the chance to strike new trade deals around the world, free of the bloc’s regulations and politics. “If we squander it, the ‘new normal’ of limited economic growth will prevail, with an EU system that is failing to respond to the challenges of the modern economy,” it said. The IEA urged the government to seek a “basic” free trade agreement for goods and pursue “regulatory freedom and trade independence.” The report, entitled “Plan A+: Creating a prosperous post-Brexit U.K.” was backed by many prominent Brexit politicians, including former Brexit secretary David Davis, and is being presented as an alternative to the plan being proposed by Prime Minister Theresa May. Despite last week’s setback, May hopes her plan will prove to be the basis of a deal in the next few weeks. That would give EU member states’ parliaments the time to vote on the deal ahead of Britain’s formal exit in March. Shankar Singham, who co-authored the report, called on ministers to rethink their Brexit strategy and said the government’s plan will “absolutely preclude” a free trade agreement with the U.S. and that it would deny a “more prosperous future” for the U.K.
“If we continue on the present course, Brexit will be a small damage limitation exercise which will weaken the U.K. and be largely unnoticed by the rest of the world,” he said. Brexit opponents argue that an abrupt EU exit would jeopardize the British economy, undermining supply chains and the cross-border operations of many businesses. They note that seven of the top 10 destinations for British exports in 2017 were EU countries and that EU countries accounted for almost 50 percent of British goods exports. Britain’s independent statistics agency revealed Monday the extent of Britain’s deteriorating trade in goods position with the rest of the EU. The Office for National Statistics said Britain’s total trade in goods deficit widened from 14.7 billion pounds ($19.1 billion) in 1998 to 130.7 billion in 2017 in real terms, primarily due to trade with the EU. From 1998 to 2000, Britain had an average 3.5 billion-pound trade in goods surplus with the EU. In 2001, the surplus turned into a deficit and that totaled 93.7 billion pounds last year. The agency noted that deficit grew most with Germany, the Netherlands and Belgium, largely because of rising imports of cars and chemicals and fewer exports of fuel. The agency conceded that its report does not show the whole picture as it does not look at services, which accounts for about 80 percent of British economic output and is in surplus with the EU. The agency said it will provide more details on services in November.